The death of Felipe Gómez Alonzo, an 8-year-old Guatemalan boy who was being held at a US Customs and Border Protection (CBP) detention center in New Mexico, highlights how the US government is violating the rights of immigrants, Juan José Gutiérrez, the executive director of the Full Rights for Immigrants Coalition, told Sputnik. Alonzo, who'd been in CBP's custody with his dad, Agustin Gómez, since December 18, was first transported to Gerald Champion Regional Medical Center on Monday with his father after an agent reportedly noticed he had a cough and "glossy eyes." Although the child was prescribed Amoxicillin and Ibuprofen after being check on by medical professionals during his initial visit, he ultimately returned to the center later that day, experiencing nausea, according to AP. Alonzo died just after midnight on Tuesday. ​"This is not just a travesty," Gutiérrez told Radio Sputnik's Loud & Clear on Wednesday. "This is an absolute violation of the human rights of children and immigrants by the government of the United States of America, [which] keeps running around the world claiming to be the most respectful of the human rights of all people worldwide." "This administration hears no evil, sees no evil, they just keep doing what they've been doing all along, which is to sacrifice the safety of children and their human right to be reunited with their parents," Gutiérrez added. According to CBP, Alonzo and his father had been apprehended by border patrol agents some three miles from the Paso del Norte bridge, an official port of entry which connects El Paso, Texas, to Juarez, Mexico. The pair were held at a processing center for two days before being transferred to the El Paso Border Patrol station on Thursday. From there, they were moved to another holding station in Alamogordo, New Mexico. Presently, it's unclear why Alonzo and Gómez weren't transferred to the US Immigration and Customs Enforcement agency for a longer-term detention center. Citing agency guidelines, AP reported that detainees are typically not held at CBP holding centers for more than 72 hours because they lack space and offer fewer services. 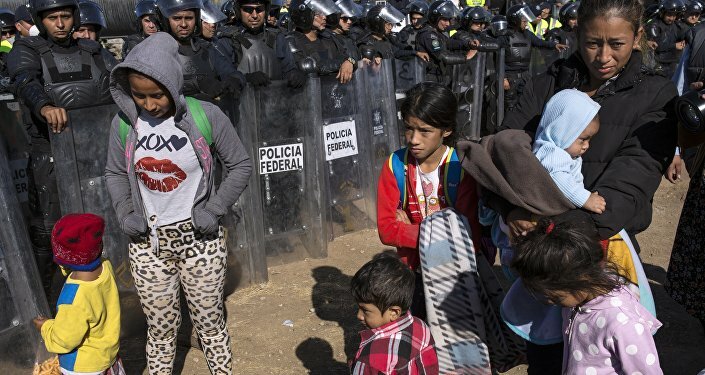 The Christmas Day tragedy also comes weeks after Jakelin Caal Maquin, a 7-year-old Guatemalan girl died in CBP's custody after being apprehended by officials in New Mexico. Despite limited details on the cause of Alonzo's death, reports on both his and Maquin's death are renewing debate on the Trump administration's immigration policies. 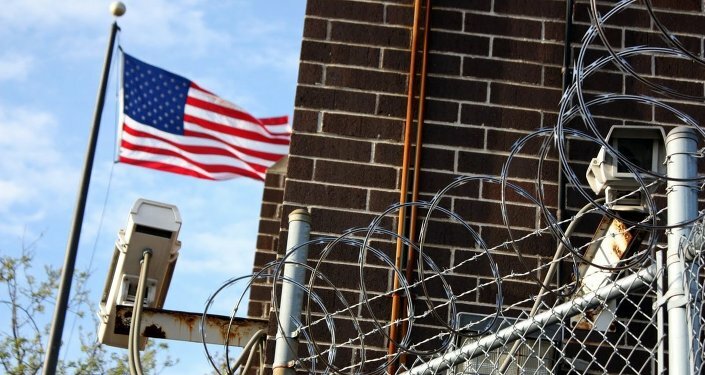 "What we need to do now is to understand that we need urgent and immediate changes to [US President] Donald Trump's cruel and inhumane immigration policy towards immigrant children," Gutiérrez told host John Kiriakou. "Immigrant children ought not to be incarcerated, but instead should be placed in children centers that are under the control of professionals and not in immigration detention centers where they face harsh conditions." Detailed in a February 2018 report from the Human Rights Watch are the cruel experiences that detained men, women and children are subjected to while being held in CBP centers nicknamed "las hieleras," Spanish for "the iceboxes." ​"They took us to a room that was cold and gave us aluminium blankets," one Guatemalan woman detained in 2017 at an Arizona center said in the report. "There were no mats. We slept on the bare floor. It was cold, really cold." Another woman quoted in the report recalled how not even winter clothing could shield her from the cold temperatures. For Gutiérrez, the only solution to the current situation is comprehensive immigration reform that paves the way for citizenship for all undocumented workers and their families. "That would really go toward a profound resolution of the inhumane tragedy that we continue to witness in our immigration policy now involving the tragic and inhumane death of children," he told Kiriakou. In response to the death of Alonzo, the CBP announced this week that it would be carrying out medical checks on all children its facilities are holding.